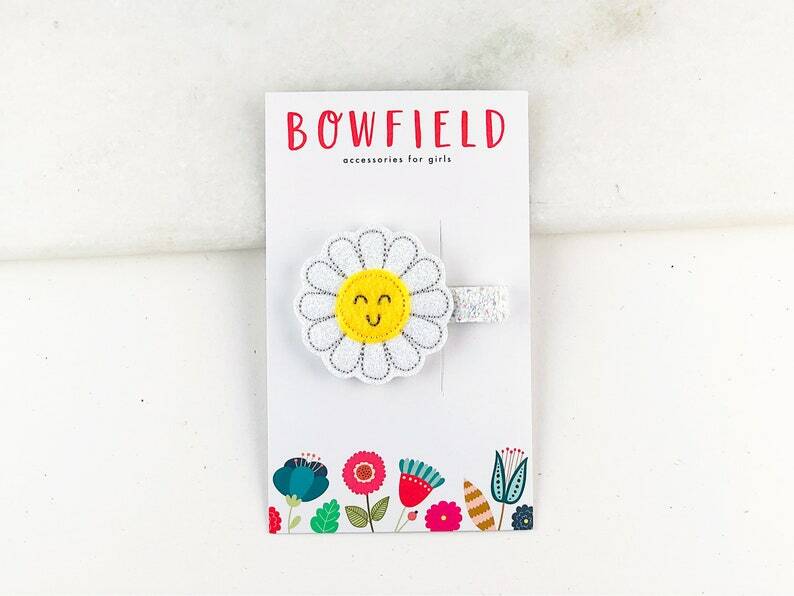 Our Bowfield daisy is the perfect touch to any outfit! ONE beautiful hair clip that features 100% merino wool felt. Each accessory is set on an right sided alligator clip with a non-slip grip — made to fit comfortably yet securely.